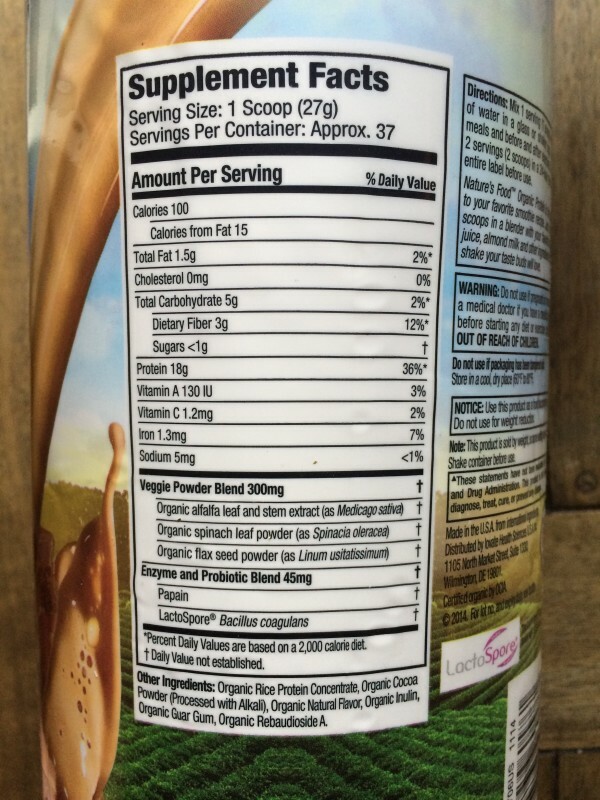 Disclaimer: I received a container of Nature’s Food Organic Protein mentioned in this post. My thoughts and opinions are my own. I was not compensated for my time. Summer means ice cream. Ice cream usually means a bevy of sugar, saturated fat and carbohydrate. Not this time! This time ice cream means protein. Not just a little more protein. 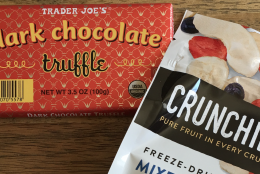 LOTS more–I’m talking 26 grams per serving. Wait, there’s more. 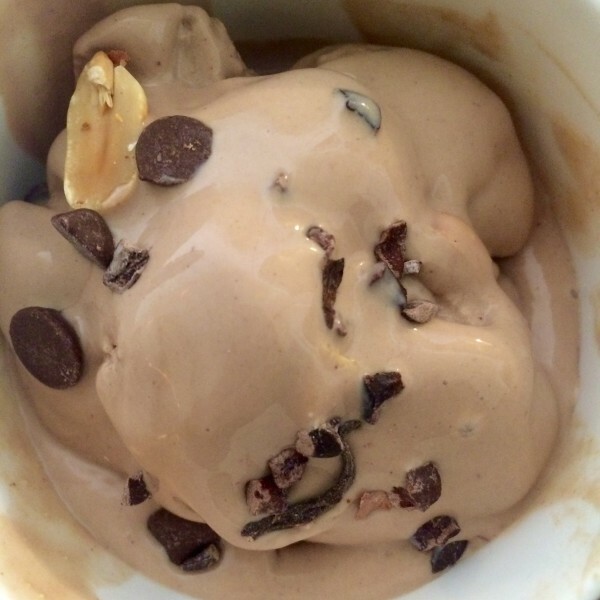 Not only is this ice cream super high in protein, it’s also super easy to make with just 4 ingredients and 5 minutes in an ice cream maker. 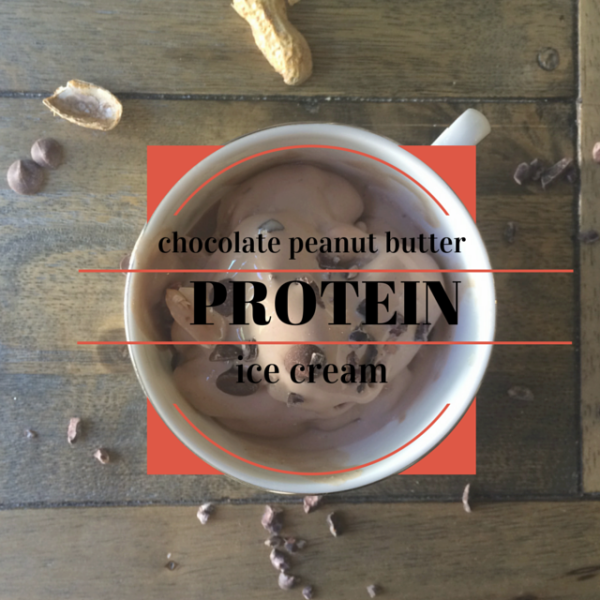 This luscious ice cream combines Nature’s Food Organic Protein Powder with yogurt and powdered peanut butter to create a protein packed scoop of summer. Nature’s Food specializes in gluten-free, vegan-friendly proteins and supplements. 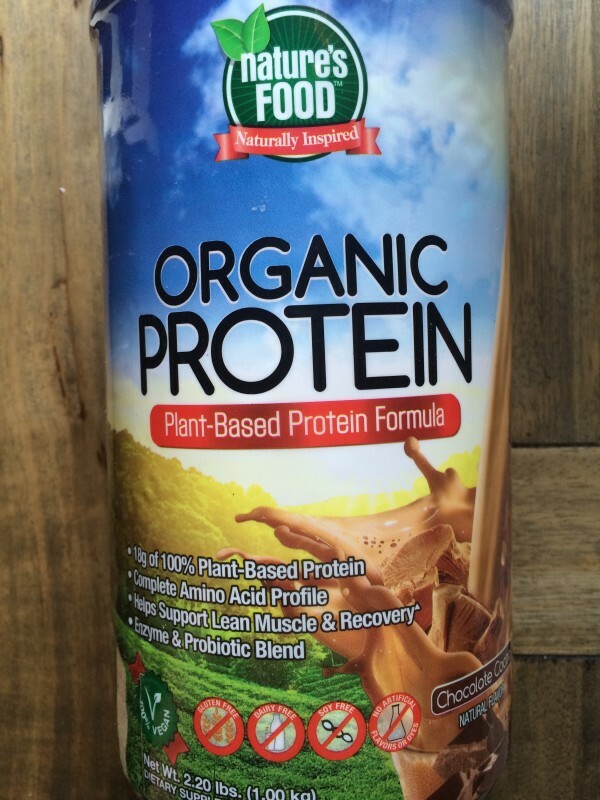 Since I support choosing organic whenever possible, their organic protein powder is the best fit for me. It is USDA Certified Organic , non-GMO, vegan, and free of gluten, dairy, and soy. 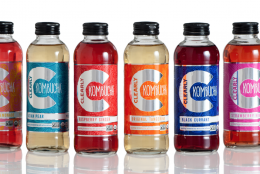 There are also no preservatives, artificial flavors or artificial sweeteners to be found. It’s great to have an option for those that do not tolerate soy or pea proteins, and a brown rice protein that you can feel safe taking. For those who are trying to increase your lean muscle mass, this is excellent for pre- and/or post-workouts. 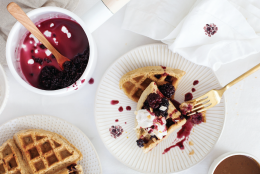 It is also great for an easy breakfast blended with a serving of berries, some leafy greens and almond milk. For a super easy way to bump up your protein intake, just mix with cold water or non-dairy milk. 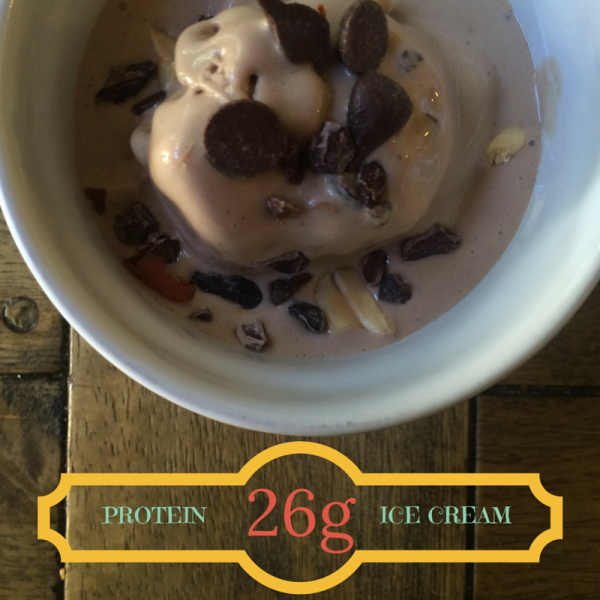 Oh yeah, and definitely make some protein ice cream! In a blender, combine protein powder, yogurt, milk and powdered peanut butter. Blend until thoroughly combined. Follow the instructions for your ice cream maker. 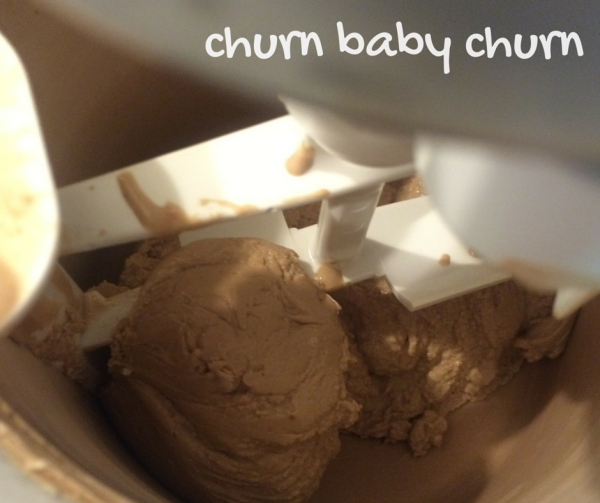 I use a KitchenAid ice cream bowl and need to turn it on low before adding the mixture. 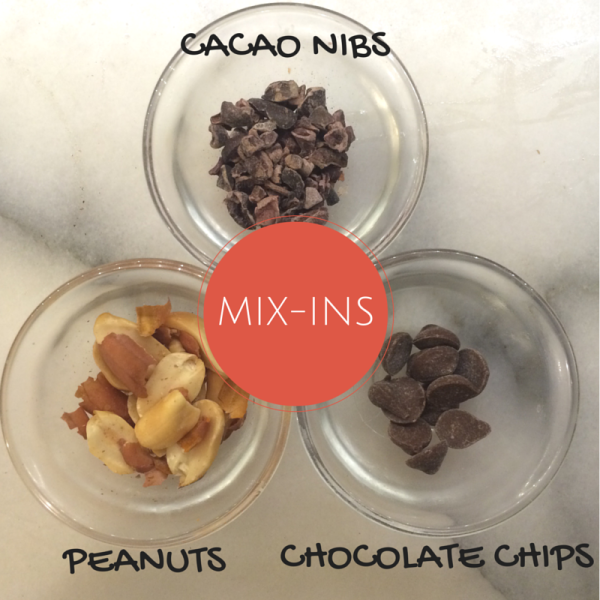 Let churn for 4 minutes before adding the optional mix-ins. Churn for another minute. The night before you want to make ice cream, make sure to freeze your ice cream bowl. If you don’t have an ice cream maker, you may want to try pouring the mixture into ice cube trays, freezing the mix, and then giving it a whiz in a high-speed blender. I haven’t tried this so let me know if it works for you.